Authorized users can change the ownership of a schedule. 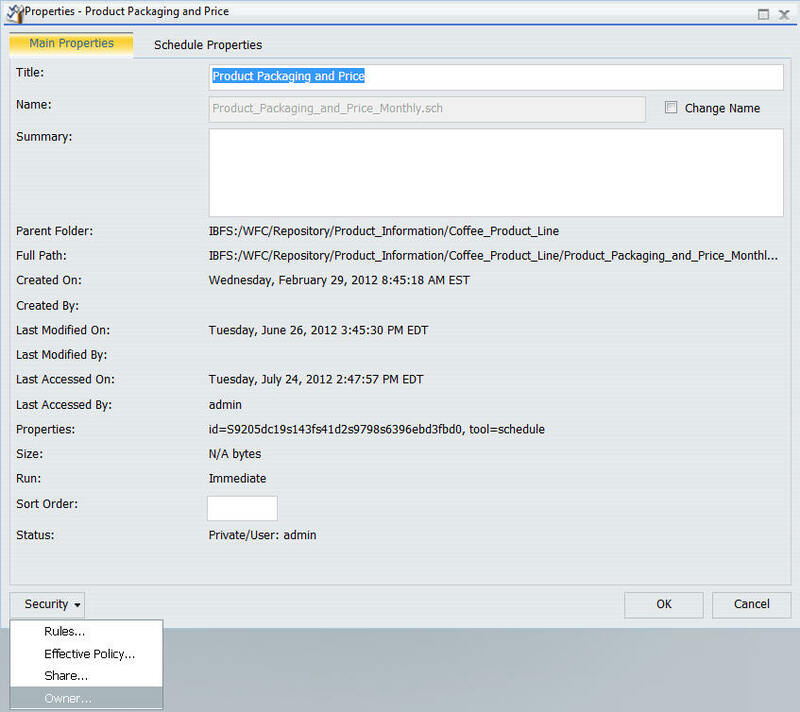 This allows you to transfer or clone schedules from one user to another. The new owner must have their own Execution Id in the Execution Id table. The schedule runs correctly with the new owner as the Execution Id. The schedule runs correctly with the configured Execution Id. For more information on the required privileges, see the WebFOCUS Security and Administration manual. From the tree, you can change the ownership of a schedule by performing the following steps. In the tree, select the Schedule for which you want to change ownership. Right-click the selected schedule and select Security, then Ownership. The Properties dialog box displays. From the Security drop-down list, select Owner, as shown in the following image. The Set Owner dialog box displays. 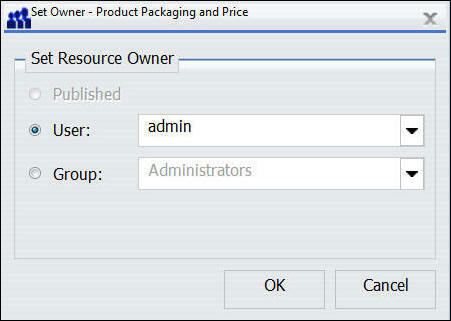 Select the User or Group radio button to set the Resource Owner. Select a user or group from the drop-down lists, respectively.